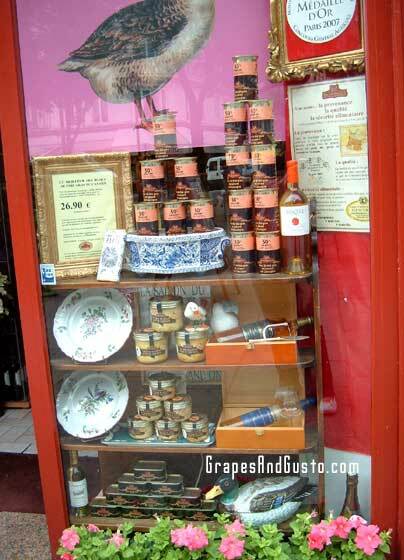 Pate and foie gras on sale at gourmet purveyor Comtesse du Barry in Paris. Time magazine has done it again. In the same issue as Ted Kennedy’s retrospective and Michelle Obama’s hair (week of September 7, 2009), Time has included a newsworthy article by Lisa Abend on a topic that has raised a hot debate in both the dining scene and the legislature – the ethics (and legality) of the force-feeding of geese to fatten their livers for the creation of foie gras. Foie gras is goose liver that has been prepared into a silky, flavorful delicacy favored by many a European and American. The practice of force-feeding grain through a feeding tube to hapless animals in order to engorge their liver for the human “yum” factor has garnered both media and governmental attention, to the point that force-fed foie gras has become an outlawed product in certain foodie cities, including New York City. This cultural phenomenon that has quickly translated into an industry-wide economic scenario is now being revisited, thanks to the alternative philosophies of Eduardo Sousa, a “goose whisperer” who also raises about 1,000 geese in a natural environment in Extremadura, Spain. Sousa’s answer to the industrial-style, forced fattening of the geese is to emulate their natural environment, from how they are birthed to how they forage for their food, and thereby “fooling” them into thinking they are wild, and not domesticated. This is directly beneficial in solving the natural-but-miniscule-liver issue often resulting from the disbanding of force-feeding. Sousa explains in Abend’s article that if you convince the geese that they are, in fact, “wild” and not in captivity, they will be influenced fully by their natural instincts. And then, he explains, the weather turns cold and in their instinctual state, the geese begin gorging themselves in preparation for their (imagined) long, airborne journey ahead. Ah…so is self-gorging the solution to force-feeding, then? Either way, this may pave the way for a new look at foie gras production practices and their ramifications, from gavel to table. The foie gras issue is a tough issue. And let me just say that I am a huge fan of the stuff. Where do we draw the line with “humane” food consumption? If we boycott foie gras because of the force-feeding, are we still any better than the next person as we continue to eat veal, or eggs from caged chickens, or pork from pigs that were treated meanly at the feed lot? Heck, do we need to just say no to leather altogether? Where does it end? And what are your thoughts? *Further reading: for a Q & A article about Mark Caro, author of The Foie Gras Wars (and a disturbing photo of a tube-fed duck), click here. 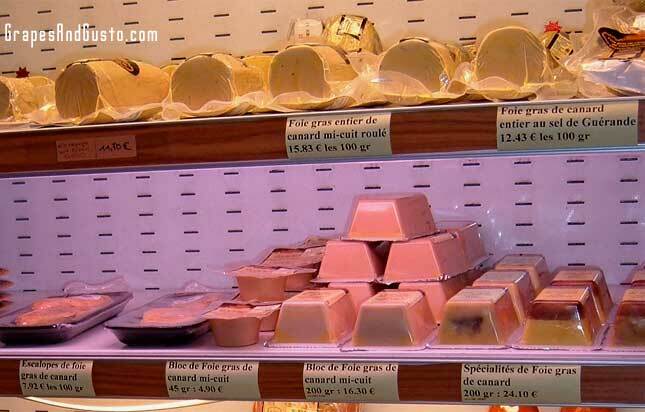 A selection of foie gras products at a Paris shop. fwsllM I bookmarked this link. Thank you for good job!